You know moments after a cooperate or personal fast when you feel pumped up and power-stuffed, ready for anything on the Christian journey? Not until few weeks when you drag into the unexpected- tongues taste like soured milk, worship feels dry like pampers; personal bible study bores like calculus and so on. People often think that lukewarmness begins when prayer life and study life becomes a drag. If only we knew what and when the real problem begins. See babe, there is a huge difference between knowing something is wrong and knowing exactly what is wrong. The Laodicean Church was a Christian community established in the ancient city of Laodicea now called Denizili in today’s country known as TURKEY 1. 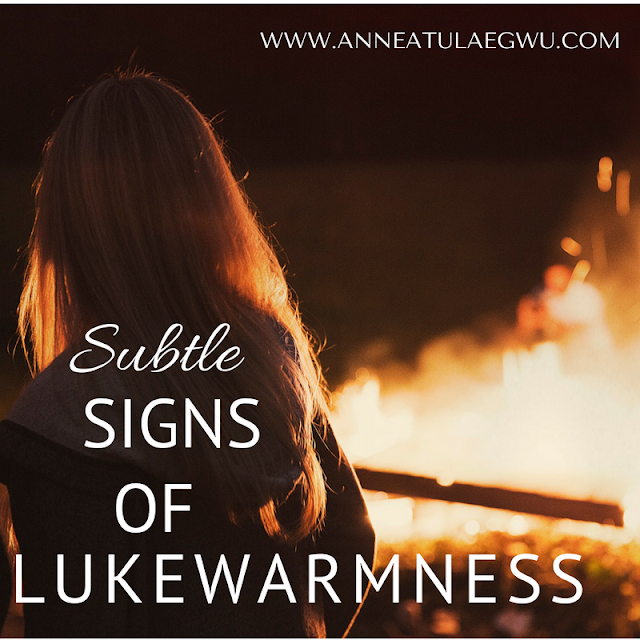 A closer look at the above verses reveal the subtle signs of lukewarmness. 1. ILLUSION: This refers to something that deceives by producing a false or misleading impression of reality2. This people believed they were rich, had everything and didn’t need anything. Meanwhile they were wretched and miserable and poor and blind and naked. Isn’t that how we sometimes feel we are doing okay because we still speak in tongue, read our bibles, pray and see answers, don’t miss services, pay our tithe and all em routine we judiciously hang on to? Don’t get me wrong. These things are very important and I do them too but they aren’t actual proofs that a Christian is hot! (We will get to the real deal soon). The Laodicean church had all the routines in place and who knows, their church services were probably laced with people crying during worship and a heavily goose-bumps-inspiring ambience, classy protocol team and all. These things are enough to make any Christian/church feel they are doing okay. You are sure you’re doing okay? Read: Are you growing or groping in your spiritual life? 2. INDIFFERENCE: This refers to lack of interest or concern3. One would wonder how indifference is an issue here. You know how we can be so engrossed in our already pre-planned agenda that it becomes impossible to embrace the new? Times when we stick with our old plans, old methods of serving in the kingdom or sticking with a particular area or aspect that we don’t care anymore when God is whispering a new agenda in our hearts. For example, a church might be used to serving widows every month and God lays it on the heart of the leaders that He wants them to reach farmers in the community. Now, they bring it up on the board meeting and analyze to the point of paralysis, raising reasons upon reasons why they must stick with the ancient program. 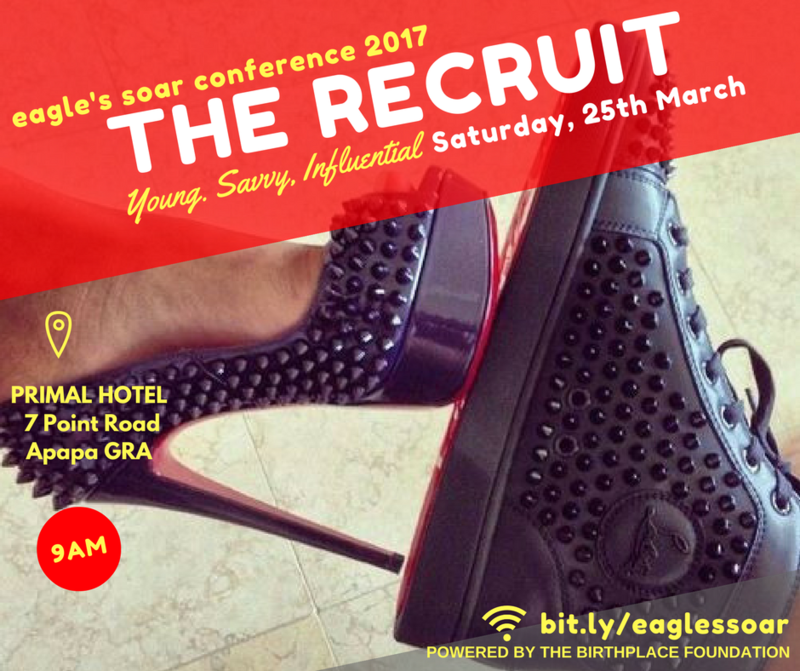 You hear things like, “that’s how we’ve been doing it”, “ministering to widows is still ministry; we don’t have to do everything”. That right there is indifference! Let me drive this point home a bit. Assume I’m married to you (IF YOU ARE MALE. LOL) and you say, “Sweet, I like apples”. I note your preference and I get you apples consistently and after 15 years in our marriage, you say, “Sweet, I like watermelons”. Now you’ve told me your “present” preference but I continue to buy you apples just because you use to prefer them. You tell me again and I say, “well honey, apples and watermelons are both fruits, they do the same thing. You’ve always liked apples after all”. Would you be happy with me? I bet that will hurt. You will definitely feel I’m not paying attention to your needs. What are those areas in your life that the Holyspirit has been saying, “honey I need you to make an adjustment here” but you’ve explained it away saying. “It’s not a sin after all, I pay my tithe after all, I go to church after all, I sing worship songs to you after all”! Are you still sure you’re doing okay? 3. Slothfulness: This refers to being sluggardly, indolent or lazy3. Ever tried to use a blunt knife to cut vegetables? That’s my worse kitchen ordeal right there. You see the problem with blunt objects is ineffectiveness. They can’t cut right and require extra effort that they don’t show for! When something or someone is ineffective, they are unreliable, unproductive and are a waste of effort. So you spend all that time speaking in tongues, reading your bible but you are chief procrastinator on the assignments that God gives you daily? You are “prayerful” but the moment the Holyspirit says, “Child, pray for this person”, prayer suddenly feels like a drag. Some of us are only fervent in prayer when we are asking about our personal needs. When it’s about souls or anything God is concerned about, we pray like God needed to beg us. Haven’t you noticed the zeal with which people pray against “witches from the village”? Head banging almost to a fall off, eyes shut till its almost red, voices raised to the maximum; but as soon as the prayer point becomes “let’s pray for missionaries in the northern states”, voices becomes whispers, eyes open like angels tapped them. It is this kind of slack towards what really matters to God that made him call the Laodicean church lukewarm! The issue with lukewarm tea isn’t that it isn’t Liquid. It’s still liquid. Like the Laodicean church, they were still “born again”. However, the inconsistency in result/effectiveness was Gods issue with them and with us today. Hot water tea can warm up your chest in a cold season; cold water tea can liven you up in a hot season. What purpose would a lukewarm tea serve other than make you want to puke/throw up? When God has a pressing need over nations can He trust you? When a soul is running out of time and needs the love of Jesus can God send you? If God can’t bank us to deliver on assignments, then we are LUKEWARM no matter how high sounding our tongues might be. Noticed what how the Lord described the Lukewarm? We will get to these true features of lukewarmness in our next post!